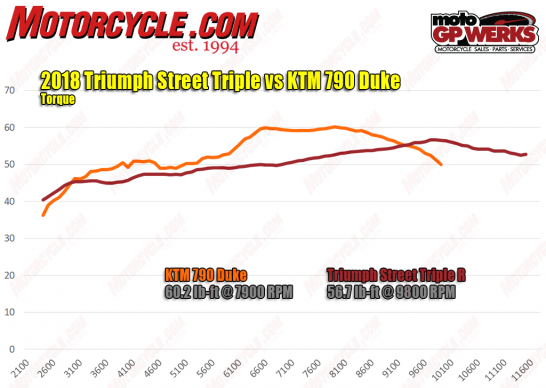 The picture looks even worse for the Triumph in the torque department, where the KTM has its number. Just look at that advantage in the midrange. Although the Triumph’s fueling does look much cleaner.